This week I am honoured to have Tracey from 100 Ways to Change the World sharing about her family’s experience volunteering at an orphanage. What happened: As a part of our family’s around-the-world journey we were able to connect with Sele Enat orphanage in Addis Ababa, Ethiopia. During our month in the city we visited the children and helped the staff at Sele Enat on many occasions. We assisted with classroom learning, organized supply closets and helped out in the infant room. Despite the obvious language barrier between English and Amharic, our three daughters had so much fun and learned some incredible life lessons from the kids there. We were all sad to end our time volunteering there. You can read more and see pictures in this post. However, in a strange twist of fate, I received a message from an American woman several months after we left Africa. She and her husband had seen our blog post about Sele Enat and they were in the process of adopting two older girls from the orphanage. She wanted to ask some questions about the facility and the staff. We wound up talking on the phone and it turned out her family lives in Central Illinois, just about an hour from my hometown. The family went to Addis Ababa in October to finalize the adoptions and bring the girls back to the U.S. Hopefully we’ll get to see them in their new home the next time we’re in the Midwest visiting relatives. How the experience affected your family: Our time at Sele Enat was eye opening in so many ways. On our first day there we were saddened as the director told us about the situations bringing the children to the orphanage. Most had lost their parents to AIDS, drug use or violent border conflicts, only to then go through months of neglect and confusing transitions before finding a permanent home at the orphanage. Yet, to be around these children, you would never know what they’d been through. Their smiles, open hearts and eagerness to learn made us pause and think about the privileges we take for granted and the things we think we need to be happy. Seeing such joy on the faces of children who have lived through tremendous tragedy has made us realize an important truth about life. Happiness is a choice. It’s not about what we have or what happens to us. It’s a decision we make each day to look for the beauty and gratitude in our lives. 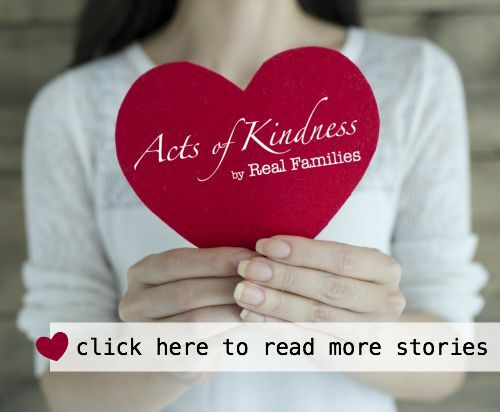 You can read about the kids’ experiences here. Message to others: I used to think that as a parent it was my job shelter my kids from the sorrow in the world. However, throughout our family’s world journey our girls have continued to impress me with their empathetic yet pragmatic response to the global issues they’ve seen firsthand. Rather than feeling scared or heartbroken, they simply want to get involved and make a difference. When we let kids see some of the harsh realities our society faces, we instill a desire to make changes in the world and give them the insight they’ll need to bring those changes to fruition someday. Thanks so much Tracey for sharing your story! 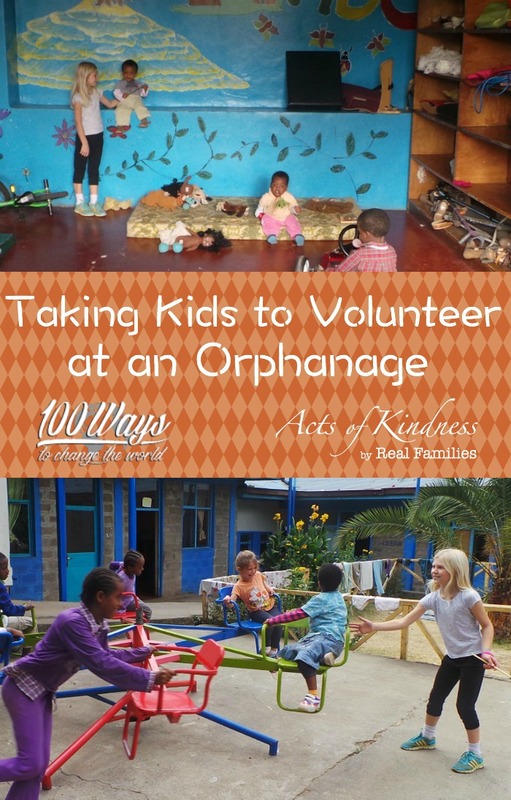 Tracey Carisch blogs at 100 Ways to Change the World about volunteering, travel and family life. Stay in touch with her family and their journey to 100 volunteer projects on Facebook.